It's no surprise that as boomers bring on a retirement surge that extends over two decades, they will need revenue to pay for living expenses and health care not covered by Medicare. In many cases, retirees will need some form of long-term care whether it's for bathing, dressing, eating, and shopping or more extensive help like chronic disease management. Since Medicare does not pay for long-term care support and services, most retirees will be on their own. It's a Catch-22 for the age group: They haven't saved enough, yet they have too much in assets to qualify for Medicaid, putting the burden on the family. Another dilemma, planning for care. Exactly how much care will a retiree need? That's like trying to predict how long they'll live. It's difficult to know because there are too many factors that come into play that can affect health like Alzheimer's or a chronic illness. Big data helps consumers learn the facts. Multiple studies give comparisons, health-related statistics, data points on financial issues, and other barriers that collide with retirees. If the data proves the need for care, why then do people put off planning for it? It's my theory that people don't mean to deny or ignore it, it wouldn't make sense. It's in their face everyday! They see grandparents and parents struggle. The problem with big data, it can't interpret real-world answers. More than one in 20 will spend $100,000 or more of their money on aging care. Most over depend on families as they age. Age Wave/Harris Interactive gained a deeper understanding of how longevity and aging impacts family relationships and the role of long-term care in their future well-being. The top retirement financial worry for both men and women over 55 is the uninsured medical expenses. When asked, "Do you think you will need long-term care sometime in your life?" Only 37% believed they would need long-term care and 11% believe they had the money to pay for it. The most surprising data revealed that 92% of the participants said they have not discussed long-term care options, roles and responsibilities, and how to pay for it with their spouse. And 95% of them did not discuss the topics with their adult children. 8% want to move in with family. Merrill Lynch and Age Wave revealed health care expenses are the top worry of retirees (52% vs. 37%.) Healthcare is the most sought after advice. Retirees feel anxiety about being a burden on their family. With all this worry and troublesome concern, it's no wonder no one wants to think about it. Data proves a model, but it tells people nothing about solutions. For consumers to turn data into real world advice takes too much time and effort. It doesn't give step-by-step guidance. I decided to take it to the industry experts with real-life experience, those that work with people dealing with aging challenges. In this report, find the full disclosure of all long-term care experts who live and breathe senior care every day. They're the ones who know how to help America in its dilemma of worry and financial hardship on long-term care issues. "Move into more adapted housing. Become active in your community to assure enough supplies of home-delivered food, adapted housing, caregiver support, transportation, personal care, and coordination of it all!" Dr. Joanne Lynn, Altarum. "Objectively assess your situation or that of your loved one. Start the conversation about the future with aging parents now so everyone can agree on a course of action before the unthinkable happens." Mr. Tom Burke, American Health Care Association. "At The SCAN Foundation, we are working with our national media partners, policymakers, and various community partners to engage the public on these issues and encourage a broader dialogue so that people recognize that most of us will need some help as we grow older." Dr. Bruce Chernof, The SCAN Foundation. "Look at your long-term care risks based on family history so you can predict at least a minimal level the kinds of things they might face. Interact with older people to get a grasp on what aging looks like. And get architects and builders to think about aging in place so that when homes are built, they're designed for older people to live there--pointing out those features will begin to get younger people aware that there are issues as you age." Ms. Donna Schempp, Former Director Family Caregiver Alliance. "Start gathering information starting with advanced directives, health care proxy, assigning a financial power of attorney. Talk to people who've had positive and negative experiences with long-term care and learn from those. Think about the care you want to receive in the event you develop a chronic illness and are physically or mentally incapacitated. Ask employers if information is available on long-term care planning." 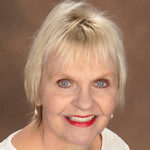 Susan Baida, President, eCareDiary.com. "Start small. The 5 Wishes Document is a great place to start: outlining your five top preferences for care at the end of life sets the foundation on which to build the rest of your long-term care plan." Michelle Seitzer, Elder Care Specialist. "Talk: Have extended and ongoing dialog with family and friends about fears, expectations, preferences, and absolutes. Take a look at your current location, and ask yourself what will it take for you to stay there? Research, while you can do homework, ask and answer your own tough questions and then record results in POAs, Wills and Trusts, Advance Healthcare Directives, facility options, end-of-life care, etc. Predict & Save: Try to plan for both the best case and worst case scenarios to avoid a crisis. Secure An Advocate, make sure you have someone you trust to advocate on your behalf." Christina L. Selder, Co-founder, Consumer Advocates for RCFE Reform. Get more insights here America has a Major Misconception .